The Brisbane Lions have secured the services of ruckman Archie Smith until at least the end of 2018. 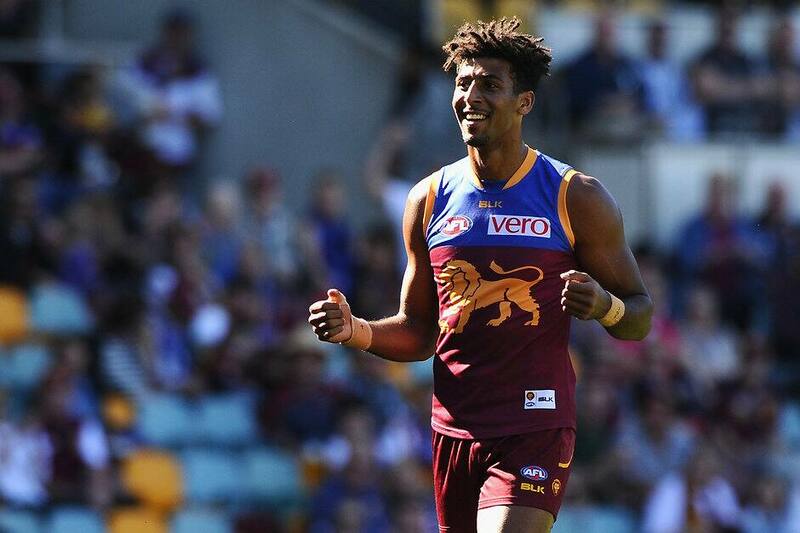 The 201cm Queenslander has signed a two-year contract extension after a strong finish to the season that saw him make his AFL debut and a big impression in his three games at the top level. A talented basketballer, the 21-year-old was recruited from Mt Gravatt after being talent-spotted by the Hyundai Help For Kids Lions Academy, and drafted by the Lions at the end of 2013 (pick 69 in the rookie draft). With only a handful of games to his name before being drafted, the ruckman bided his time in the NEAFL under the tutelage of Stefan Martin, Matthew Leuenberger (now Essendon) and Trent West. He was rewarded for his strong NEAFL form throughout the first half of 2016 by making his AFL debut against Port Adelaide in Round 19, where he finished with 30 hit outs and 19 disposals. Smith played a further two games to finish the season. Brisbane Lions National Talent Manager Peter Schwab told lions.com.au that the popular big-man has an exciting future at the Lions. “It was important for us to secure Archie’s services. As a Queenslander he is a great reflection of our commitment to drafting and retaining local talent. Smith, who has already met with new Senior Coach Chris Fagan, said he was looking forward to pre-season. “I’m really excited. My first couple of years wasn't just about learning from Stef and Trent, it was also about learning the game in a lot of ways because I only played that year of football before I got drafted,” said Smith. Smith will be looking to secure his place as the Lions' second ruckman, alongside Stefan Martin, following the retirement of Trent West at the end of 2016. “I had a meeting with Chris on Monday,” said Smith. “I really, really like him and have a lot of respect for him. I can’t wait to pick his brain about all the success he’s had at Hawthorn.